Because Keith is both kind and suffering from a (hopefully temporary) bout of impaired judgment, he let me deceive him into giving me free rein to write the movie recommendations for the month of June. I get to write a series of reviews along a common theme, and I’ve picked… remakes! Be warned: recommending the remake is not meant to imply that the original is inferior. We kick off the series with a remake of the 1950 Vincente Minelli hit that landed Spencer Tracy with an Oscar nomination. It’s sweet, touching, and will give you a good giggle unless you’re made of stone. It’s Charles Shyer’s Father of the Bride (1991). 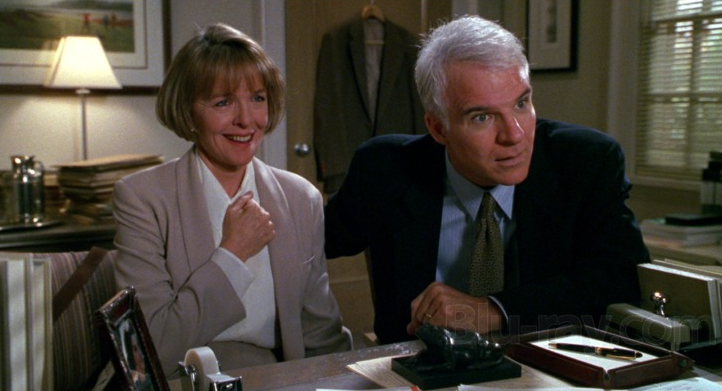 Steve Martin plays George Banks, a company executive with that characteristic Martin-esque blend of contentment with life wrapped up in an unusually dismissive sarcasm (for more of that, see L.A. Story). George’s daughter Annie, played by Kimberly Williams, returns from a post-college trip to Europe and announces to her father and mother Nina (played by Diane Keaton) that she’s engaged to Bryan, a communications analyst. There’s so much material here for George to be mad about, and that’s Martin’s wheelhouse: Annie seems too young to marry, Bryan seems like a stuck-up jerk, Bryan’s parents make George feel small, George is feeling pressured to pick up the tab for the wedding, and the list goes on. The truth is that nothing suits Martin as well as compounded irritations at the small inconveniences and insecurities of life. He wants so desperately to detest Bryan, if only to validate his sense of frustration, but it turns out that Bryan is just too… accomplished and caring and perfect for Annie. What might otherwise be a harmless, and not especially thought-provoking film – which, as it happens, works out just fine for this film in a way that it wouldn’t have if L.A. Story had been done similarly – is elevated by Martin’s ability to lead the audience from his desperate little fits of exasperation through to the harmony of the final post-wedding reception scene. Martin Short plays Franck, the wedding planner with an utterly unplaceable accent (although we’re assured it’s European). Despite Short’s years on Saturday Night Live, Franck remains my very favorite of Short’s creations. His years collaborating with Martin on SNL worked wonders in Â¡Three Amigos!, and it hits home yet again. Neither Nina nor the children Annie and her brother Matty (played by Kieran Culin) seem as vexed by the prospect of the wedding as does George. Instead, they provide the anchor keeping George sane while he buzzes around throwing snarky asides about his future son-in-law and the family he’s about to join. The comic conceit works well: it’s pleasant to see the daughter as the one entrusted with calming the father’s nerves. But it does leave Keaton and Williams with very little to do in the film beyond the occasional eye roll and tender word. That’s a shame, really – Keaton is such a pro that you can’t help but wonder where the film might have gone if she’d been allowed a little more to work with. The family dynamic is deeply reassuring, and that’s part of what makes the film so very easy to watch. 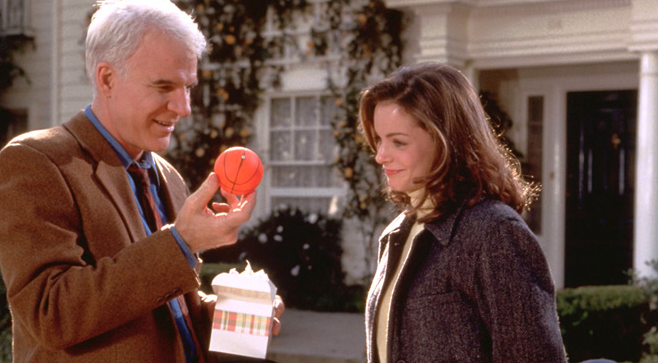 Even the few hiccups that the family does experience, including Annie’s brief apprehension about whether to pursue the wedding, are resolved with little more than a warm conversation with her father or a quick game of basketball in the driveway, while the first snowflake magically appears upon the resolution of conflict. You can barely tell whether that sigh you release from your lungs is one of relief, comfort, or just plain satisfaction at the world. Deee-lightful. Johann Koehler is a doctoral student in the School of Law at the University of California, Berkeley. He tweets at @KoehlerJA.